And they, being afraid, wondered, saying to one another: What manner of man is this! – Luke 8:25. We observe in the Lord Jesus two natures very distinct from one another: the uncreated, eternal, divine nature, and the created, temporal, human nature. The eternal Son of God in the fullness of time received the human nature into His person. Thus true God WAS MADE true man. The human nature now is the own nature of the Son of God. Jesus Christ is God and is man in one person. And so each of the two natures, though always distinct as to the essence of each, are indivisibly joined together and perfectly united in the person of Jesus Christ. Thus, because of this union of the two natures in one person, the eternal Son of God was born over twenty centuries ago (Galatians 4:4-5); He, the true God, the Lord of Glory, the Prince of Life, shed His blood for us, was crucified, and put to death (I John 1:7; Acts 20:28; I Corinthians 2:8; Acts 3:15). And He, the Son of Man, possesses all divine majesty: omnipotence, omniscience, omnipresence, power to give life, power to forgive sins and to execute Judgment, and is worthy of worship from men and angels (Matthew 28:18, 20; John 5:23, 26, 27; Hebrews 1:6). And it was necessary for our redemption that Jesus Christ should be true God and true man in one person. It was necessary that He should be man, that He might be under the Law, and be capable of suffering and dying, as the Substitute for all men; it was necessary that He should be God, that He might be able to appease the wrath of God by His perfect life, suffering and death, and be able to overcome sin, death, and the devil. Meditate on this, Christian, and worship Him whose name is “Wonderful” (Isaiah 9:6). PRAYER – Indeed, Lord Jesus Christ, Thou art wonderful – Thou art the “Wonderful” foretold by the Prophet Isaiah. No man’s reason can comprehend Thee. But do shine in my heart by means of Thy Word. 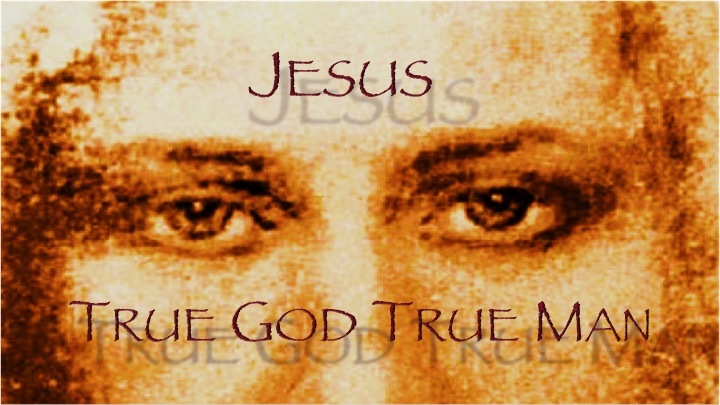 By means of Thy Gospel cast Thine image into my soul, glorify Thyself within my heart and soul through Thy Holy Spirit, that I may believe in Thee, true God and man, and my only and dearly beloved Savior, blessed forever! Amen. The Lord is born a little child Of Mary, virgin undefiled. The angel’s glory we shall share, And in His kingdom live fore’er. (ELHB) Hymn 151, 1. 4.